Turkish politician and former parliamentary deputy Ümit Özdag claims Europe could see three million migrants arrive on the continent as the EU-Turkey migrant agreement breaks down. 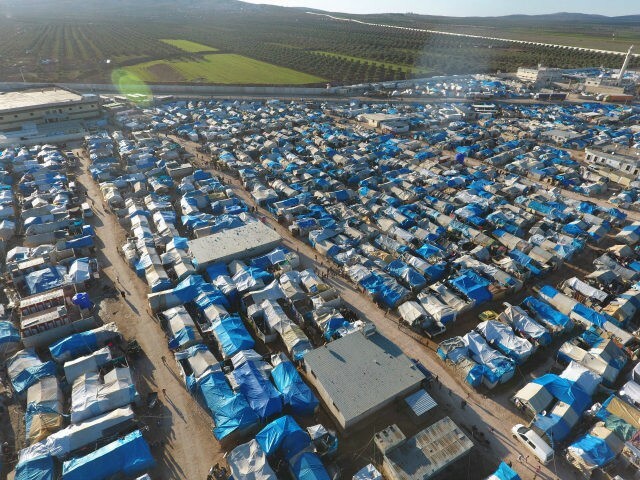 Özdag made the claim this week, according to Austrian politician and migration expert Efgani Dönmez. Dönmez told Austrian media that Turkey was looking to send three million migrants, mostly Afghan nationals, to Europe. He said that the migrants are already amassing on the borders of Turkey and they could arrive in Greece and other European Union countries as early as in the next few days, OE24 reports. According to Dönmez, pressure put on the Turkish-Iranian border has made the Aegean route attractive for migrants again. A critic of the proposed Turkish referendum, where a ‘yes’ vote would allow President Recep Tayyip Erdoğan to eliminate the position of Prime Minister, Dönmez predicted that migrants would be used as a bargaining chip by Erdoğan after the referendum. “After the referendum, he will use these refugees as a further means of pressure against Europe,” he said adding that it was very likely Erdoğan would send them across the sea. Austria, Dönmez said, “can not be surprised a second time by an uncontrolled refugee storm”, adding it would greatly erode public confidence in the government, authorities, and public institutions. In an interview with Austrian newspaper Der Standard, Dönmez slammed Erdoğan’s shift toward Islamism. Erdoğan’s Justice and Development Party (AKP) has, according to Dönmez, “succeeded in pushing back the strong role of the military, thus destroying the last secular bastion [of the country]”. The recent row between Turkey and the Netherlands over Turkish politicians being denied entry to campaign for Erdoğan’s position on the referendum was also slammed by the former Green politician. He accused Turkey of having “built bridges in Europe and used them as a pawn against our societies”. “We can no longer surrender to this blackmail in the future. This is why our own security and foreign policy and a proper refugee policy are important in order to free us from the dependence on Turkey and make it clear that interference is not desirable to us and the tensions in Turkey can not be brought to Austria,” he added. President Erdoğan has previously threatened to send migrants to Europe over delays to visa-free access for Turkish citizens and disputes over financial support from the EU for hosting migrants in Turkey. Last year, it was revealed that Turkey was considering shipping 3,000 migrants to Europe per day if accession talks with the bloc were halted.